Awake! That's the theme of this book, these series of lectures given in 1917, near the end of World War I and the time of the Russian revolution. "I am awake," you may be thinking, and the fact that you're reading this review indicates that you are awake to the physical world, plus the fact that you're reading about Rudolf Steiner's lectures indicates you are able to develop ideas about the spirit and are thus awake to the spiritual world. [page 16, 17] We need to be awake and alive for the sake of humanity. If anthroposophy is to fulfil its purpose, its prime task must be to rouse people and make them really wake up. Merely knowing what is going on in the physical world, and knowing the laws that human minds are able to perceive as operative in this world is no more than being asleep in a higher sense. Humanity is only full awake when people are able to develop notions and ideas of the world of the spirit. This is all around us, just as air and water, the stars, the sun and the moon are all around us. when we are physically asleep we are wholly given up to the internal processes that go on in the body during the night and have no idea of anything in the physical world around us. We are asleep in exactly the same way when we are wholly given up to the physical environment, and to the world and the laws of the intellect, and have no idea of the world of the spirit that is all around us. How can people mature into old age and not know about the world of the spirit which is all around us? Certainly the people in ancient India knew of the world of spirit and each of them grew wise as they grew old and were revered. Think of an elderly person you know. Do you consider them wise? Would you seek their advice about some problem which is troubling you today? Likely you answered, No, immediately without much thought. Why is this? Are people today sleep-walking through life by their monomaniacal focus on the physical world? Yes, one might say that. But there is a deeper reason which involves the evolution of consciousness over the millennia since the time of Old India, an evolution which had the curious effect that each century there was a decrement in the age in the age of maturity. What was 50 for Old India has been reduced to the age of 27 today. This is the age at which our automatic maturity ends, if we do nothing on our own accord to further our wisdom. Since few people take such measures, the majority of people in our world remain at the age of maturity they were when they were 27. The graybeard judge sitting on the bench a year from retirement is likely no wiser than he was at 27, or the hospital administrator after 30 years experience in her field who is no wiser than she was at 27. Someone once said that a high school graduate today is fit at 18 only to flip hamburgers and at 27 is running a company. One cannot at age 27, without an extraordinary childhood, be expected to understand the spiritual world, since our educational systems teach primarily how to maneuver and succeed in the physical world. Anyone who succeeds dramatically in life in the physical world will have little inducement to learn about the spiritual world, until perhaps it is too late. In an interesting synchrony, the Mystery of Golgotha took place at age of maturity for its time, 33. [page 37] In ancient Indian times, development in soul and spirit continued to be dependent on physical development until well into the 50s. People went on developing the way a child develops, and this only came to an end when they were old men and women. This is the reason why people looked up with such humility to their old people. During the time of ancient Persia, people were no longer able to develop to such a high level but only into their 40s and early 50s; and in Egyptian and Chaldean times only into their 40s. In Graeco-Latin times, this kind of development went only as far as the thirty-fifth year. Then came a time — you will remember, the Graeco-Latin age began in the eighth century before the Mystery of Golgotha — when human beings were only capable of development up to their thirty-third year. That was the time when the Mystery of Golgotha took place. The age of humanity then matched the age at which Christ went through the Mystery of Golgotha. The upshot is this, "People who do not take up anything spiritual remain 27 years old even if they live to be 100." Our world today is ruled and governed by such people, no matter what country or culture, whether in a town council, the White House, or the United Nations, at whatever level, our so-called leaders are only as mature as any 27-year-old. In our physical prowess, we head downhill after twenty-seven, but as far as maturity in soul and spirit, we have around us a level playing field. Anyone who rises from that level field is deemed as remarkable, even though if pressed, few could express why the person is exceptional. The reason is that one must possess maturity in soul and spirit to recognize it in others, but one can recognize its importance even if one is on that level playing field of 27! Steiner in 1917 recognized David Lloyd George who was Prime Minister of England from 1916 to 1922 as the epitome of the 27-year-old man pressed into high office. George was in fact elected as a Member of Parliament at age 27 in 1890. One can see the 27-year-old naivete in the older Lloyd George's laissez-faire attitude towards Hitler in the 1930s as he moved into power, saying such things as "Germany is our friend", and even after Hitler moved armed forces into the Rhineland, he called Hitler the "George Washington" of Germany. Steiner had equally condemning remarks about the youthful naivete of U.S. President Woodrow Wilson with his famous 14 Points which helped sow the seeds of German resentment which led to World War II. We live in an age of increasing knowledge of the physical world and increasingly amazing technology. Few people stop to think where all these amazing new ideas come from. If asked, the typical 27-year-old (anyone over 27) would answer, "Somebody thought it up." Few study the intense work which went into the "thinking up" of an invention. It is a process which like Edison said, is "98% perspiration and 2% inspiration". But where does that vital 2% come from, Edison never mentioned, because he was one of the most clever 27-year-olds of the 20th Century, but only clever about physical things, how to make intricate machines from ideas, usually ideas from other people. He did it with his phonograph, motion pictures, and light bulbs, and many other inventions. So where does that 2% inspiration come from? Not from a machine, not from a human being, certainly. Ask any inventor where the original idea came from and if you dig deeply, you'll get, "It just came to me." Or "out of the blue". Both of which are ways of saying it came from the spiritual world, but inventors are part of that level playing field of 27-year-olds — what else could they think to say? [page 61] Modern people do, of course, believe that all this — the telegraph, telephones, the use of steam power, etc. — happens without the participation of spiritual entities. This is not the case however. The development of human civilization involves the participation of elemental spirits, even if people do not know about it. Modern materialists imagine that the telephone and telegraph, and the steam engines riven long distances and also used by farmers, have been constructed merely on the basis of what people produce by the sweat of their brow. Everything people do in this respect is under the influence of elemental spirits. They are always involved and helping us in this. People are not taking the initiative on their own in this field — they are guided. In laboratories, workshops, really everywhere where the spirit of invention is active, elemental spirits are providing the inspiration. There is a basic law which governs evolution and it is one that all humans should be aware of because it will help us to understand the direction of evolution and how we are prepared for each next step in evolution. [page 62] . . . the law of world history of which I have spoken is that as evolution proceeds, the gods always rule for a time within a particular sphere of elemental spirits and then human beings enter into this same sphere and use the elemental spirits. It is important that we discover that these elemental spirits are the "same kind as those used by the gods to bring about birth and death." [page 62] In earlier times, the elemental spirits of birth and death essentially served the divine spirits who guided the world; since our day — and this has been going on for some time now — the elemental spirits of birth and death are serving technology, industry and human commerce. It is important to let this disturbing truth enter into our souls with all its power and intensity. Is it possible, you may be thinking, that when human beings take over some job of the gods, they mess up badly? One need only look to the sinking of the entire primordial continent of Atlantis for one example of a catastrophe resulting after humans failed in taking over the processes of the gods. [page 63] This led to serious mischief in the Atlantean age, so that over the last four or three periods of civilization the whole of Atlantean civilization had to be guided towards its own destruction. Our own civilization was saved and brought across from Atlantis, as I have described elsewhere. . .
What is philistinism except trying to solve the problems of today with the solutions of yesterday? It is well to stick to norms, to follow established rules, but each evolution of consciousness, of humanity brings with it new norms which the philistines among us will detest and try to subvert. [page 83] In some respects, philistinism is the opposite of a true understanding of human nature, for philistines always like to stick to the norm. Anything which does not fit in with this is considered abnormal. To overcome the increasingly materialistic and philistine tendencies requires that humans seek spiritual understandings and ideas which meet the new and changing situations. Unless humans rise to this challenge, the last remaining portion of our original body, soul, and spirit which is non-physical, that is, the soul will be taken away from us by definition. Can this happen today? Recall that in an early Ecumenical Council, the spirit nature of man was declared non-existent by fiat by the authorities of the world at the time. [page 85] A spiritual movement must exist where people seek to develop concepts which meet the real situation. There will be vast numbers of people in future who want to stick to the rumblings of the past — today they are still in the minority. Their concepts, ideas and actions will be based on the outside world around them and on the fact that their bodies are being filled with the ahrimanic spirit which wants them to form such ideas. We should not fool ourselves, for we are faced with a quite specific movement. At the Council of Constantinople it was decreed that the spirit did not exist; it was dogmatically stated that the human being consisted only of body and soul, and it was heresy to speak of a human spirit. In the same way attempts will be made to decree the soul, the inner life, as nonexistent. This reminds me of a story written by Raymond Smullyan in his amazing book,"This Book Needs No Title". There existed a planet without laughter in which the few people who laughed were put into mental hospitals by psychiatrists to cure them, suspecting their irrational laughing behavior was clearly of psychogenic origin. They found a drug which cured them of laughing, called "laughazone", but the drug had the side-affect of causing the patients to scream. Some doctors thought that the laughing people were happier than the screaming ones, but the argument was made, "What use is it to be merely happy, when the happiness is based purely on psychotic delusions?" One might think that Professor Smullyan was joking with this story, but his carefully crafted story gives us a serious look at how various behaviors can be deemed undesirable by the use of abstract logical reasoning and lead to incarceration in a mental hospital until the person is cured by some drug or vaccine. Believe or not, having a soul may be deemed a pathological behavior in the future by the authorities of the world in our time, the materialistic scientific establishment. Those who blithely call themselves "humanists" will attempt to do the most inhumane thing of all: remove the soul from the human being. [page 85] The time will come — and it may not be far off — when quite different tendencies will come up at a congress like the one held in 1912 and people will say: It is pathological for people to even think in terms of spirit and soul. 'Sound' people will speak of nothing but the body. It will be considered a sign of illness for anyone to arrive at the idea of any such thing as a spirit or a soul. People who think like that will be considered to be sick and — you can be quite sure of it — a medicine will be found for this. At Constantinople the spirit was made non-existent. The soul will be made non-existent with the aid of a drug. Taking a 'sound point of view', people will invent a vaccine to influence the organism as early as possible, preferably as soon as it is born, so that this human body never even gets the idea that there is a soul and a spirit. The two philosophies of life will be in complete opposition. One movement will need to reflect how concepts and ideas may be developed to meet the reality of soul and spirit. The others, the heirs of modern materialism, will look for the vaccine to make the body 'healthy', that is, makes its constitution such that this body no longer talks of such rubbish as soul and spirit, but takes a 'sound' view of the forces which live in engines and in chemistry and let planets and suns arise from nebulae in the cosmos. Materialistic physicians will be asked to drive the souls out of humanity. Ever think about what the elemental world consists of? Ever think that it's some airy-fairy, non-existent world? If you have thought about such things and other things, then you have lived in the reality of the elemental world and helped create substances in the elemental world with your thoughts. [page 87, 88] In reality we are always, wherever we are — whether sitting, standing or lying down — not only in the world of air and light and so on, but also in a world of surging thoughts. You will find it easiest to get an idea of this if you look at it like this: When you walk on earth as an ordinary physical human being you are also a breathing human being, walking in-a space filled with air. And in more or less the same way you move in a space filled with thoughts. Thought-substance fills the space around you. It is not a vague ocean of thoughts, nor the kind of nebulous ether people sometimes like to imagine. No, this thought-substance is actually what we call the elemental world. When we speak of entities which are part of the elemental world in the widest sense of the word, they consist of thought-substance, actual thought-substance. There is, however, a difference between the thoughts flitting around out there, which really are living entities, and the thoughts we have in our minds. I have spoken of this difference on a number of occasions. In my book due to be published shortly(1), and which I mentioned yesterday, you will find further references to this difference. How could materialistic physicians be so dense as to have thoughts about driving the soul out of human beings? What is the relationship between the physicians' thoughts and the elemental thought-space? The elemental thought-space has living thoughts and these physicians have dead or corpse-thoughts. Abstract thoughts based on the sensory data around us are corpse-thoughts. All of us utilize corpse-thoughts when we use abstract logical concepts. [page 88] You may well ask yourself: If there is such an elemental principle out there in thought-space and if I, too, have thoughts in my head — what is the relationship between the two? To get the right idea of how your own thoughts relate to the thought-entities out there you have to visualize the difference between a human corpse which has been left behind when someone has died and a living person who is walking about. The kind of thoughts you have to consider in this respect are the kind you gain from the world you perceive with the senses when in waking consciousness. Our own thoughts are actually thought-corpses. This is the essential point. The thoughts coming from the world we perceive with the senses and drag around with us when in waking consciousness are thought-corpses — thoughts that have been killed. Outside us they are alive, which is the difference. We are part of the elemental world of thought in so far as we kill its living thoughts when we develop ideas on the basis of what our senses have perceived in the world around us. Our thinking consists in having those corpses of thoughts inside us, and this makes our thoughts abstract. We have abstract thoughts because we kill living thoughts. It is really true that in our state of consciousness we walk around bearing thought-corpses which we call our thoughts and ideas. This is the reality. After science and medicine, the other field which is filled with corpse-thoughts to day is education. Steiner says, "There is no other field where humanity has entered as deeply into materialism as it has in education." (Page 100) Clearly if you wish to pass an examination to be a teacher, you must respect and hold these corpse-thoughts but once you become a teacher, you will have to learn to deal with living thoughts to receive the intuitions and inspirations necessary to reach your students. [page 101] Examinations for prospective teachers must therefore be organized in such a way that candidates with intuitive and prophetic gifts do particularly well. Candidates who do not have such gifts must be made to fail their exams, however great their knowledge. Do we search for and recognize that our teachers of our youth today must be prophets? Likely, we do not, but the time is coming when this will be necessary. [page 101] The last thing we do today is to consider the prophetic gifts of people who are to become teachers. We still have a long way to go with regard to many thing that will have to be done. Yet the course of human evolution will eventually force people to accept such principles. Many of the materialists of our age would, of course, consider it a crazy notion to say that teachers should be prophets. But it will not be for ever. Humanity will be forced to recognize these things. There is another aspect of teaching which is not taken into account today: karma. Surrounding us everywhere we go are people with whom we have connections from a previous lifetime, some of them will be family and associates, some will be teachers, and others will be students. [page 112] Something else, however, which relates to something much more subtle, will be important. It will be important that the question of karma, or destiny, is taken into account, especially with regard to education and teaching methods. The people with whom my karma brought me together in childhood and youth certainly are important. And a tremendous amount depends on it that in our teaching we are aware that we and our pupils have been brought together. You see, much depends on a particular quality of mind and attitude. Children are imitators, especially during their seventh through fourteenth years. They need authority figures, parents and teachers, who will speak the truth to them as they will believe everything they hear during this crucial seven year learning period. How good the teacher is — that's less important than how the teacher is connected with the soul of the child, but the teacher needs to be aware of the possibility of karmic connections. The child may seem to be a blank slate, but the child's soul likely had a personal relationship to the teacher in a previous lifetime from which both child and teacher can benefit in this lifetime. [page 113] We will know how to behave if we are constantly aware of the idea of karma; but we must have a real inner connection with this. Whether we are particularly good at teaching something, or perhaps less good, is not really so important. Even completely inept teachers may on occasion have a tremendous influence. Now, in the age of inwardness of which I have spoken, the question as to whether we are the right teacher or educator depends on the way in which we were connected with the child's soul before either of us — teacher and child — were born. The difference is merely that we teachers have come into the world a few years earlier than the children. Before that we were together with them in the world of the spirit. Where does the desire to imitate come from, this tendency to imitate after we are born? We are imitators in our early years because we bring the tendency to imitate with us from the world of the spirit. And whom do we like best to imitate? The individual who gave us our qualities in the world of the spirit, from whom we took something when we were in that world, be it in one particular field or another. The child's soul was connected with the soul of the teacher before birth. The connection was a close one; later, the outer physical being who lives in the physical world merely has to follow this line. There is one attitude that both capable and inept teachers must avoid, one which can poison their relationship with a student, it is to demand that each child learn everything they teach. This is simply not possible — this deleterious attitude stems from the bank metaphor of pedagogy where the student is like a piggy bank into which the teacher inserts learning which can later be drawn out again when needed. [page 114] It is poison to demand that children should understand everything, as it is often demanded today. I have frequently pointed out that children cannot understand everything. From their first to their seventh year they do not understand at all; they imitate everything. And if they do not imitate sufficiently they will not have enough in them later which they can use. From the seventh to the fourteenth year they must believe, they must be under the influence of authority, if they are to develop in a healthy way. These things are to be made part of human life. Here is where the corpse-thoughts enter education as a poison which will inflict mental paralysis upon our children in guise of early intelligence! "People must realize that dead truths cannot govern life, only living truths can do so." [page 114, 115] The following is a dead truth. We are supposed to train human beings to be intelligent human beings. Therefore — as dead truth says — we must cultivate the intellect as early as possible, for this will produce intelligent people. This is arrant nonsense, however. Did I choose a college professor for my father so I might be intelligent? No, not that I recall the decision consciously, but the fact is my father was a working man who was very authoritative in his parenting of me. Frankly, I did not like it, but I accepted his authority and followed his commands as a necessity. It was literally his way or the highway. [page 115] People will, in fact, be intelligent only if they are not given intellectual training too early. It is often necessary to do the opposite of what we want to achieve in life. . . . You cannot make people intelligent by cultivating the intellect as early as possible, but only by cultivating in them when very young the faculties which will later have them prepared to be intelligent. The abstract truth is: the intellect is cultivated via the intellect. The living truth is: the intellect is cultivated by healthy belief in authority. Both parts of the statement have quite a different content in the living truth compared to the dead, abstract truth. This is something humanity will have to come to realize more and more as time goes on. In my Final Paper for a Ph. D.-level graduate class in College Teaching, I wrote about the importance of the "Live Lecturer" in the classroom. My thesis was that teaching moves from the professor to the student via live thoughts and concepts and the lesson plan of the professor acts as an outline to ensure that the live thoughts and concepts are active during the lecture and available for transmission and reception(2). In a world in which so much education is done over the Internet, the presence of a live lecturer in a classroom is becoming less common, and few voices of reason have been raised in opposition to the lack of a live lecturer. Steiner raises another important issue about the need for a live lecturer. Teachers needs to dream about their students as a very real way of opening up a clairvoyant channel to facilitate teaching and learning. [page 116, 117] Teachers in training are weighed down today with all kinds of principles as to how they should teach, how they should educate. In the immediate future this will become much less important. The important thing will be for them to get to know human nature and the different ways in which it comes to expression; they have to become psychologists in a most subtle way and really know the human soul. The relationship of the teacher to the pupil must in future be something analogous to clairvoyance. Teachers may not be fully conscious of this, and it may only live instinctively in their souls, but they must instinctively, at a level close to prophecy, have a picture of what wants to emerge from the individual who is to be educated. Then a strange thing will happen, peculiar as it may sound today. The teachers of the future will dream a great deal of their pupils, for the prophecies will be wearing the garment of dreams. The pictures we see in our dreams arise only because we are not used to connecting our dreams with the future; we dress them in elements remembered from the past, as in a garment. In reality dreams always point to the future. Yes, it is indeed true that the inner life will have to be changed, especially in those who educate the young. This is the most important aspect. Of course, everybody is more or less involved in educating the young, with just a very few exceptions, and it must therefore also hold true in a more general sense that we must have understanding for the karmic connections, as I pave mentioned. Tremendously much will depend on this becoming general knowledge. have yet to be designed. Because it is wearing different clothes. If we feel that the world ought to be different, we can learn to accept that judgment as a projection — we want to be different and feel that if the world were different, we could be different. What psychology teaches us is that if we become different, the world will seem to have become different. We frown, e. g., because we live in a world of frowners, then we decide to begin smiling and suddenly we find that the world has changed around us and everyone else is smiling. [page 118] Today, people want to take their thought-forms into everything connected with real life; and they are only prepared to put up with reality if it fits in with their own thought-forms. Uniformity is what they are after. But uniformity cannot be justified in the light of the spirit; this it impossible. The world cannot be easy and comfortable the way it is in reality. Not everyone will have the kind of face we like and find sympathetic. But it is wrong to let our actions towards others be determined by our personal sympathies and antipathies. Other impulses must come into play. People find it difficult to manage today because they look at the world, and if they do not find it in accord with their sympathies and antipathies then, in their view, everything is crooked and awry and quite wrong, and they are governed by just one impulse — that the world ought to be different. Yes, we can discover the world ought to be different and what we do can make the world different. We can hold wrong ideas about the physical world and that world will ignore our wrong ideas, no matter how many times and ways we try to apply them. But the world of human society is shaped by our ideas, wrong or right, and we suffer from the wrong ones until we learn of our error and correct them. Sometimes we learn of our errors only from the misfortunes which beset us because of them. WWI was such a misfortune. [page 121] Here the human thoughts of every individual enter into the social structure. We do not come up against a reality that will not yield; in this case we create the reality. And if this goes on for a few hundred years the reality will be what you may expect it to be; it will be full of contradictions. reality itself comes to realization in structures which do not have the power of reality in them; as a result there are upheavals such as the present catastrophic war. Steiner talks in Lecture 6 about how when prophesy comes true, modern science says "Chance willed it." (Page 94) We can see how medical experts often ignore the spiritual aspects of their patients recovery, attributing the recovery to chance. In the 1994 movie,"The Madness of King George" one sees a splendid example of such behavior on the part of 18th Century physicians. The mad King's doctors administered all kinds of materialistic cures such as blistering his back to extrude the bad humors, all to no avail. A royal relative suggested a Dr. Willis who had cured her mother of the same illness. What's the chance that one doctor could cure two people of the same disease? This doctor restored the King to sanity by the expediency of looking him in the eyes, something usually forbidden. Dr. Willis activated his strong "I" and stared into the King's eyes, restraining the King when he showed any errant behavior. Soon the King was forced to behave or be constrained, and he gradually acquiesced and became normal again. At the end of the movie, the medical science of today placed the following statement, "The King had an illness was called porphyria, an inherited disease which comes and goes at random." Proving that yet today, science calls any remission not from some recognizable medical cure as due to chance. Our materialistic science including medicine has come to love the fallen spirits of darkness which fell to Earth after the victory of Michael over them in 1879. He effectively cast them out of the spiritual world from which they fell into human hearts. We gained human freedom in the process, but unless we understand the deleterious effects of these ahrimanic spirits, our spiritual progress will be greatly hampered. [page 140] It is because the ahrimanic powers entered into us when Michael won his victory that we are gaining in human freedom. Everything is connected with this, for the crowd of ahrimanic spirits has entered into all of us. We gain in human freedom, but we must be aware of this. We should not allow the ahrimanic power to gain the upper hand, as it were, and we should not fall in love with them. Steiner details how the battle of Michael with the Dragon (dark spirits) began in 1841 and culminated in 1879 with them falling to Earth. During the same 38-year period of time humans had so been taken by these spirits that the Great War began in 1913 and ended around 1917, some 38 years later. The events which coursed through the spiritual world from 1841 to 1879 were played out in the physical world in the years 1879 through 1917, culminating in World War I. How did Darwin's idea that humans descended from animals first take form? Curiously, it was from a book in the 18th Century which claimed Ahriman (called the devil) comes to expression in animal species. (Page 152) The Press joked about this possibility, but the joking gave the idea widespread notoriety, setting the stage for Darwin. Today we have secular humanists who are striving to remove every trace of spirituality from the world. They virulently attack the works of anyone writing about spiritual science, using skepticism as a weapon to destroy knowledge rather than to foster knowledge. They fight what they do not understand, what they choose not to study or master, and they help the ahrimanic powers in doing so. They strive to replace religion based on spiritual concepts with a purely secular religion based on doubt and sensory experience. [page 154] One way to help the ahrimanic powers, therefore, is to establish an entirely naturalistic religion. If David Friedrich Strauss had fully achieved his ideal, which was to establish the narrow-minded religion which prompted Nietzsche to write an essay about him, the ahrimanic powers would feel even more at ease today than they do already. This is only one way, however. The ahrimanic powers will also thrive if people nurture the elements which they desire to spread among people today: prejudice, ignorance and fear of the life of the spirit. There is no better way of encouraging them. Just think how many people there are today who actually make it their business to foster prejudice, ignorance and fear of the spiritual powers. If some prediction is made which not based on their secular science, these humanists will call the prediction's coming true, pure chance. And yet, they do not have any idea of how the predictions are made, so their own response to the prediction coming true is unscientific. Science requires investigation before judgment, and the humanists violate this principle lasciviously when they demean anyone who is the least bit spiritual. They call them superstitious as if that were saying enough. In a world filled with ahrimanically-tutored minds, that is often enough. [page 155] The scientific view is entirely ahrimanic. We do not fight it by refusing to know about it, however, but by being as conscious of it as possible and really getting to know it. You can do no better service for Ahriman than to ignore the scientific view or to fight it out of ignorance. Uninformed criticism of scientific views does not go against Ahriman, but helps him to spread illusion and confusion in afield which should really be shown in a clear light. People must gradually come to the realization that everything has two sides. Modern people are so clever, are they not? infinitely clever; and these clever modern people say the following: In the fourth post-Atlantean age, in the time of ancient Greece and Rome, people superstitiously believed that the future could be told from the way birds would be flying, from the entrails of animals and all kinds of other things. They were silly old fools, of course. The fact is that none of these scornful modern people actually know how the predictions were made. And everybody still talks just like the individual whom I gave as an example the other day, who had to admit that the prophesy given in a dream had come true, but went on to say: Well, it was as chance would have it. The materialistic science of the secular humanists is the science of the past! It studies things which have already happened and strives to predict the future from them. [page 156, 157] The situation with the world is just like the situation you get with a plant. The true plant is not the plant we see today; something is mysteriously inside it which cannot yet be seen and will only be visible to the eyes in the following year — the primitive germ. It is present in the plant, but it is invisible. In the same way the world which presents itself to our eyes holds the whole future in it, though this is not visible. It also holds the past, but this has withered and dried up and is now a corpse. Everything naturalists look at is merely the image of a corpse, of something past and gone. It is also true, of course, that this past aspect would be missing if we considered the spiritual aspect only. However, the invisible element must be included if we are to have the complete reality. The very same secular humanists who look down upon the people of the Greco-Roman age who predicted the future from examining the entrails of animals have rather strange superstitions themselves, at least that is the way they will be judged by those far in the future. [page 157] Clever people will say today that the priests of ancient Greece and Rome were either scoundrels and swindlers or that they were superstitious, for no one in their right mind can believe it is possible to discover anything about the future from the flight of birds and the entrails of animals. In time to come, people will be able to look down on the ideas of which people are so proud today; they will feel just as clever then as the present generation does now in looking down on the Roman priests conducting their sacrifices. Speaking of Laplace's theory and of Dewar(4) they will say: Those were strange superstitions. People in the past observed a few millennia in earth evolution and drew conclusions from this as to the initial and final states of the earth. How foolish those superstitions were! Imagine the way in which those peculiar, superstitious people spoke of the sun and the planets separating out from a nebula and everything beginning to rotate. The things they will be saying about Laplace's theory and Dewar's ideas concerning the end of the world will be much worse than anything people are saying today about finding out about the future from sacrificial animals, the flight of birds and so on. Since Rudolf Steiner's time, we have progressed to where we have predictions of how the universe began as a Big Bang in a universe which is constantly expanding. In the future perhaps it will be said, speaking of our time, that "the dumbest man in the world sat in a wheelchair(5) and talked about the Big Bang superstition". Steiner stated it clearly, though this will fall on deaf years today, "Everything connected with modern science has grown from myth; myth is its root." (Page 158) It pleases Ahriman enormously that so many people accept the current superstitions of materialistic science as if it were the God's truth, instead of merely statements about the past using a process which grew out of myth. [page 158] Everyone who thinks like this fails to realize one thing: The whole of modern science would not exist, especially where it has its justification, if people had not earlier thought in myths. You cannot have modern science unless it is preceded by myth; it has grown out of the myths of old and you could no more have it today than you could have a plant with only stems, leaves and flowers and no root down below. People who talk of modern science as an absolute, complete in itself, might as well talk of a plant which is alive only in its upper part. Everything connected with modern science has grown from myth; myth is its root. There are elemental spirits which observe these things from the other worlds and they howl with hell's own derision when today's mighty clever professors look down on the mythologies of old, and on all the media of ancient superstition, having not the least idea that they and all their cleverness have grown from those myths and that not a single justifiable idea they hold today would be tenable if it were not for those myths. Something else, too, causes those elemental spirits to howl with hell's own derision — and we can say hell's own, for it suits the ahrimanic powers very well to have occasion for such derision — and this is to see scientists believe that they now have the theories of Copernicus, they have Galileo's ideas, they have this splendiferous law of the conservation of energy and this will never change and will be the same for ever and ever. A shortsighted view! Myth relates to our ideas just as the scientific ideas of the nineteenth and twentieth centuries relate to what will be a few centuries later. They will be overcome just as myth has been overcome. Do you think people will think about the solar system in 2900 in the way people think about it today? It may be the academics' superstition, but it should never be a superstition held among anthroposophists. Once I was introduced to an audience as having a double-Ph. 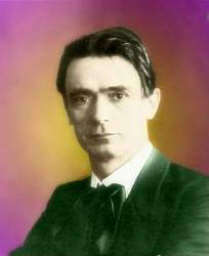 D. in Rudolf Steiner. The emcee said that he had heard that "If someone had studied over 75 books in a single subject, that qualified as a Ph. D. and Bobby Matherne has studied over 150 of Rudolf Steiner's books." He was gracious, but most other people would be incredulous and ask me questions in the vein of, "What are you doing reading that many books by one person?" Which left me with an unanswered question, a big one, for many years, up until now. After reading this next passage, I have begun to see my self as a bridge builder from material science to spiritual science. My degree in physics provides me a generalist view of all the sciences and my degrees in Steiner gives me a detailed view of spiritual science, two foundations, one on the physical side and one on the spiritual side, upon which to build a bridge from one side to other. [page 161] I have met a number of people who were extremely well informed in a particular field of ahrimanic science, being good scientists, orientalists(6), etc., and had also made the connection with our spiritual research. I have gone to a great deal of trouble to encourage them to build bridges. Think of what could have been achieved if a physiologist or a biologist who had all the specialized knowledge which it is possible to gain in such fields today had reconsidered physiology or biology in the light of the spirit, not exactly using our terminology, but considering those individual sciences in our spirit! I have tried it with orientalists. You see, people may be good followers of anthroposophy, and on the other hand they are orientalists and work in the way orientalists do. They are not prepared, however, to build the bridge from one to the other. This, however, is the urgent need in our time. For, as I said, the ahrimanic powers are doing well if people believe that science gives a true image of the world around us. If, on the other hand, we use spiritual science and the inner attitude which arises from it, the ahrimanic powers do not do so well. This spiritual science takes hold of the whole human being. It makes you into another person; you come to feel differently, to have different will impulses, and to relate to the world in a different way. If we are awake to spiritual realities such as the initiates, we will understand that the study of spiritual science allows us to keep a lid on the ahrimanic spirits which will otherwise run rampant. Steiner says the result for these dark spirits is like a consuming sacrificial fire for the salvation of the world. [page 161] It is indeed true, and initiates have always said so: 'When human beings are filled with spiritual wisdom, these are great horrors of darkness for the ahrimanic powers and a consuming fire. It feels good to the ahrimanic angels to dwell in heads filled with ahrimanic science; but heads filled with spiritual wisdom are like a consuming fire and the horrors of darkness to them.' If we consider this in all seriousness we can feel: filled with spiritual wisdom we go through the world in a way which allows us to establish the right relationship with the ahrimanic powers; doing the things we do in the light of this, we build a place for the consuming fire of sacrifice for the salvation of the world, the place where the terror of darkness radiates out over the harmful ahrimanic element. Now we reach the promise in the first paragraph of this review: the promise of awakening for each of us. What do we have to do? [page 161, 162] Let those ideas and feelings enter into you! You will then be awake and see the things that go on in the world. The eighteenth century really saw the last remnants of the old atavistic science die. . . .
Let your eyes become seeing eyes in the light of the inner feelings of which we have spoken today and let them see what is alive and active in the present time! It may well be that your hearts grow sore with some of the things you find. This does no harm, however, for clear perception, even if painful, will bear good fruit today, fruit which is needed if we are to get out of the chaos into which humanity has entered. It was still a couple of years before Steiner gave his lectures to the employees of the Waldorf-Astoria Cigarette Factory which resulted in the formation of his well-known Waldorf and Steiner Schools across the world. But clearly education was on his mind already in 1917 in these lectures. [page 162, 163, italics added ] The first thing, or one of the first things, will have to be a science of education. And one of the first principles to be applied in this field is one which is much sinned against today. More important than anything you can teach and consciously give to boys and girls, or to young men and women, are the things that enter unconsciously into their souls whilst they are being educated. In a recent public lecture I spoke of the way in which our memory develops as though in the subconscious, and parallel to our conscious inner life. This is something especially to be taken into account in education. Educators must provide the soul not only with what children understand but also with ideas they do not yet understand, which enter mysteriously into their souls and — this is important — are brought out again later in life. We are coming closer and closer to a time when people will need more and more memories of their youth throughout the whole of their lives, memories they like, memories which make them happy. Education must learn to provide systematically for this. It will be poison in the education of the future if later on in life people look back on the toil and trouble of their schooldays, on the years of education, and do not like to think back to those days. It will be poison if the years of education have not provided a source to which they can return again and again to learn new things. On the other hand, if one has learned everything there is to be learned on a subject, nothing will be left for later on. Providing a soul(7) with ideas not yet understood — do you, dear Reader, understand what this means in your own life? Do you immediately answer questions which arise with a sleepy, "I know that." or "That's nothing new." or "Can't understand it — it must be silly. Forget it." Do you? If so, you have not yet understood the awakening power of the unanswered question. I consider this aspect of life so important that I formed it into Matherne's Rule #25 and created an explanation of it on the Internet for anyone to read and discover the unanswered question asked by this Rule, namely, "What is the power of an unanswered question?" The answer to this question will not come immediately or easily even if you read all the material describing it. The real answer will only come when one day you find yourself confronted with a difficult question and, instead to tossing it aside like a coffeeshop receipt, you hold it unanswered in your mind and days or weeks later, you are rewarded one day by the answer appearing in your mind, right out of the blue. An answer, which would not have come to you ever if you had not held the question as an unanswered question, likely a useful and important answer, brings you brightly awake and invigorated. Teachers who do not understand the importance of what is happening in the soul of the children spend their days in one form or another dinning knowledge into their pupils minds as if they were piggy banks which must be filled in school so that they can be cracked open after graduation to provide the funds of knowledge in the workplace. Surely such teachers could be enlightened by the comic strip which ran in our local Times-Picayune newspaper one morning. Two teenagers were lying on a bed talking and one announced, "The real school vacation has begun! I have just forgotten everything I learned last year!" The piggy bank does not even last through the summer vacation, much less till graduation! On page 166, a simple diagram shows a red line and a blue line which run from left to right on the page, intersecting a couple of times, sometimes the red is on top and sometimes the blue. [page 166] Perhaps it is difficult to believe this today, but the time has long since come for us to say: the children and young people we see do not show their true nature in what we see on the outside. We see the red line here (see diagram), but beside it runs the blue one, a hidden inner life to which we must pay real attention. Teachers must pay attention to it, lest they surrender it to the ahrimanic powers. Education and training will have to change completely in many respects in the near future. How do teachers surrender the child's life to ahrimanic powers? By dinning knowledge in their heads with excessive repetition, treating them more like a target on a machine gun firing range than a human being. One of my pet peeves is parents who explain everything to their children before they can make a decision and then allow the child to make the decision instead of the parent doing their crucial job of providing authority to children between the ages of 7 and 14 instead of information! The child is not ready to grasp most of the issues these parents try to explain to them and the parents would serve them better by allowing the child to hold most of the mysteries they ask questions about, to hold them as unanswered questions, which will be a soul-strengthening exercise for them, rather than providing answers above their child's "pay-grade" which is a sure-fire soul-deadening exercise, a recipe for disaster, and a worst waste of a parent's time cannot be conjured up, and an activity that more enlivens ahrimanic spirits does not exist. [page 166] Let us consider the origin of the principles in our present system of education and training. Certain things always lag behind in the cosmic order. 'Enlightenment', as it was called, was a special feature of the eighteenth century. People even wanted to establish a kind of rational religion based only on human reflection, on the starveling among the sciences, as I have said in my public lectures in Basle. The way people feel they must behave towards growing children and young people in education and training has entirely come out of this stream of rationality: always do everything in such a way that the child can immediately understand; children should never experience anything deeper than they are able to understand. Enlightened parents are exactly what we call such parents today, as if it were a badge of honor instead of infamy! [page 166] It will have to be realized that this is the worst possible way of providing for the life of a human being, for it takes us to a truly disastrous extreme in human life. Just consider this: if we make every effort to give children only such things as are in accord with their level of understanding, things they can grasp, we do not give them anything for later life when they are supposed to have deeper understanding. We rob them of the treasure that would otherwise be stored up in their souls as unanswered questions. The type of adults this produces are running the world today, the large corporations, the newspapers, and most unfortunately of all, the school and college systems at every level of education. [page 166, 167] Care is taken, so to speak, to ensure that for the whole of their lives they have nothing but the understanding of a child. This approach has already borne fruit, and the fruits are what you would expect! Much of the thinking in our present-day civilized world, where people consider themselves to be so wise and enlightened, remains at a childish level. No one in the newspaper world is, of course, going to admit that the thinking in their world is largely childish, but it is true nevertheless. Essentially this is connected with the fact that only the child's understanding is addressed. This then remains the same throughout life. Something else must be done and it must begin with education at the earliest levels. It was this task of doing something which led Steiner to give the lectures on education in Stuttgart which resulted in the formation of the Waldorf Schools world-wide. [page 167] Something quite different will have to be done: we must fill our souls, especially if we are educators, with the inner awareness, the consciousness, that a mysterious inwardness reigns in a child and we must present to the child's heart and mind much that will only be understood later on in life, not in childhood. Later in life they can then recall these things from memory and say to themselves: this is something you heard or learned on that occasion; now at last you are able to understand many of these things. Nothing will be better for the soundness of human life in the future than for individuals to recall things they were told in childhood, and then be able to understand them. The rise of suicides in our nascent 21st Century is a sure sign of the prevalence of the psychological phenomenon of anomie, described in the Webster's Medical dictionary as: social instability resulting from a breakdown of standards and values; also: personal unrest, alienation, and uncertainty that comes from a lack of purpose or ideals. It is the "lack of purpose or ideals" type of anomie which seems to result in suicide. Can such lack of purpose or ideas exist in someone who has a healthy inner life? Probably not. What can one do to prevent this emptiness? The one word answer is education, education of the kind which Steiner is discussing in this lecture. [page 167] When people are able to live with themselves in such a way as to recall from memory the things they could not understand before, this will be the source for a healthy inner life. People will be spared the inner emptiness which enters into so many hearts and souls today, and causes them to end up in institutions. There, souls which have remained empty and barren inside because education has failed to give them anything that can be recalled later on in life may be offered something from outside. In a recent movie, "Surrogates", one of the robotic surrogates refers to human beings as "meatbags" and that phrase struck me as an apt way of understanding how materialistic science has created a demeaning view of human beings as simply chunks of meat evolved from dumb animals. [page 167, italics added ] Something else needs to be considered in this context. Because of the circumstances I have spoken of in recent times, people of our present age have lost awareness of the close connection between human beings and the universe. People today believe they are just hunks of meat walking on this earth or traveling in a railway carriage. They will not always admit this, of course, but this is in fact what they have in mind. It is not true, however. Human beings are closely bound up with the whole universe. One of the things my wife and I have done when our 19 grandchildren were very young was to buy and give them children's books, colorful books which help them learn what different kinds of animals do, often in some cheerful fashion which they can relate to. We saw this as a way to combat the dreadful dinning of biology and zoology these precious children were likely going to receive in the school systems. [page 171, 172] To use the outer scientific culture, such as it is now, in education will be particularly detrimental in the immediate future. To teach children abstract notions of nature and the laws of nature which people need to know will become an absurdity in the near future. On the other hand, it will be important — I can always only give examples -- to consider the lives of animals in a loving way, with their special conditions of life described to give the children a real picture of how ants behave in their communities, how they live together, and so on. As you know, the beginnings of this are to be found in Brehm's Tierleben, though they are not fully developed. Such symbolized stories of life in the animal world need to be more and more fully developed. Individual stories should be told in a truly thoughtful way, rather than dishing up elementary zoology to children in the dreadful way it is done now. We must tell them of the special things the lion does, and the fox, the ant, the ladybird, and so on. It is of no real consequence if the details which are told actually happen or not; what matters is that they are thoughtful and come from the heart. The kind of extract of natural history which is dinned (e.g., to teach by constant repetition) into children today should only come in later years; children must first of all be able to take delight in stories which represent individual aspects in the lives of animals. We cannot permit a school teacher to just list items and drum them into our children's heads, such as who was Plato's teacher, Aristotle's teacher, Alexander the Great's teacher, etc. These lists are deadly and dreadfully dull to students — their minds will grow barren if that is all the kind of learning they are exposed to(8). They will strive to remember them for the final exam and before two weeks into summer vacation they will dump the lists from their memory banks, likely, forever. We need teachers, on the contrary, who can liven up history, make the events come alive to students at every level today. If it is a task worth doing, we can always find someone who will do it. [page 172] In a similar way it will be important not to dish up those horrible abstractions which are taught as history today, but again to bring life and liveliness into the course of human history and help the children to develop a feeling for what human hearts and minds experience in the course of human evolution. Conversations which did not actually take place in the physical world will have to be invented, a conversation between an ancient Greek and someone living in the fifth post-Atlantean age, for example. To let those living human figures appear before the mind's eye of the children will be much more useful than all the historical abstractions presented to them today. What's the cure, the panacea for historical abstractions and barren expanses in students' heads? [page 173] We will always, and in every field, need the stimulus of spiritual science. It alone will be able to let new life arise from the dying forms of the present life of mind and intellect — new life which can act as a stimulant in the way I have described, especially for the minds of children. Without the stimulus of spiritual science, one will be a dried-up school teacher who also dries up the children's minds. Worst of all, people will increasingly have the idea, especially with regard to educating the young, that the best we can do with everything we learn is to forget it again as quickly as possible. If a situation is created where in later life people do not want to miss any of the things they were given in their childhood, this will not merely be a pleasure but prove a wellspring, a true wellspring of human life. I would ask you to take this to heart. Christ Jesus said, "Let the little children come to me." And also, "You must become as little children to enter the kingdom of Heaven." We, you and I, each of us, are heading as human beings to a point where after many deaths of our physical body upon the Earth (and subsequent re-incarnations), the Earth itself will undergo a physical death, and we need to begin now to prepare for our transit into spiritual beings when that happens. It will be a global catastrophe, such as those populating the imagination of science fiction writers and movie-makers in our time. Only those who have nurtured themselves and have maintained themselves as little children, growing younger each year, each lifetime, will make the transition through the gate of death into spiritual evolution after our mother Earth disappears from the physical plane of existence. This is difficult to imagine or contemplate, but it is nonetheless true. [page 190] In future, human beings, the older they get, will need to take in spiritual impulses if they want to be able to grow younger and younger and really develop their inner life. If they do so, they may have grey hair and wrinkles and all kinds of infirmities, but they will get younger and younger, for their souls are taking in impulses which they will take with them through the gate of death. People who relate only to the body cannot grow younger, for their souls will share in everything the body experiences. Of course, it will not be possible to change the habit of going grey, but it is possible for a grey head to gain a young soul from the wellsprings of spiritual life. This is how human evolution will proceed in the fifth, sixth and seventh post-Atlantean ages in terms of Darwin's grey-haired theory, if you will forgive the expression. But in order to go through the catastrophe which is comparable to the earth's death — the catastrophe lying ahead — people must gain the power of youth which lies in Goetheanism(9), in the theory of metamorphosis and of spiritual evolution. This has to be taken through the future catastrophe, just as in the case of the individual the rejuvenated soul is taken through the gate of death. Now we are ready for Steiner to reveal to us why the "fall of the Spirits of Darkness" was a necessary part of our evolution as human beings. [page 198] The kind of spiritual experience which is utilized in the spiritual science of anthroposophy would have been impossible if the spirits of darkness had been victorious, for they would then have kept this life and activity in the spiritual regions. It is only because of their fall that instead of merely critical, physical intelligence and the mediumistic approach, it has been and will increasingly be possible to gain direct experiences in the spiritual world. It is not for nothing that I recently told you how the present age is dependent on spiritual influences to a far greater extent than people believe. Our age may be materialistic and want to become even more materialistic, but the spiritual worlds reveal themselves to human beings in many more places than one would think. Spiritual influences can be felt everywhere, though at the present time they are not always good ones. Steiner has warned us of these fallen dark spirits and it is up to us to awaken to their presence in our lives and the lives of others. [page 199] You have been given images which may serve to demonstrate the intentions of the spirits of darkness in the 1840s, 50s, 60s and 70s when they fought the followers of Michael. These spirits have been down here among human beings from the autumn of 1879. They have failed to achieve their aims: spiritualism will not become the general human persuasion; people will not grow so clever from the materialistic point of view that they fall over themselves with their cleverness. The spiritual truths will take root among human beings. On the other hand, the spirits of darkness are now among us. We have to be on guard so that we may realize what is happening when we encounter them and gain a real idea of where they are to be found. The most dangerous thing you can do in the immediate future will be to give yourself up unconsciously to the influences which are definitely present. For it makes no difference to their reality whether they are recognized or unrecognized. Again, as he did on page 85, he warns us of a vaccine, an anti-religious vaccine, which will innoculate us against having a soul, an anti-spiritual vaccine which will ensure the success of the dark spirits in completely materializing many as human beings(10). This warning came almost a hundred years ago — perhaps that vaccine already exists and is affecting our children and young adults today. 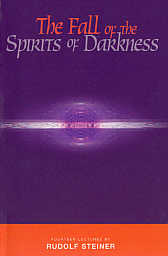 [page 199, 200] I have told you that the spirits of darkness are going to inspire their human hosts, in whom they will be dwelling, to find a vaccine that will drive all inclination towards spirituality out of people's souls when they are very young, and this will happen in a roundabout way through the living body. Today, bodies are vaccinate against one thing and another; in future, children will be vaccinated with a substance which it will certainly be possible to produce, and this will make them immune, so that they do not develop foolish inclinations connected with spiritual life — 'foolish' here, of course, in the eyes of materialists. History is not what it used to be. That's a phrase which is often spoken in jest, but the joke will be on us if we do not acknowledge its truth in the sense which Steiner explains it in the next passage. [page 220] The term 'history' will only have real meaning when spiritual impulses are taken into account. There we can speak of what really has come to pass and, within limits, of what. happens behind the scenes. Limits are set in so far as we compare this with what can be predicted to apply in the physical world in future — the position of the sun next summer, for example, and so on, but not every detail of the weather. The world of the spirit also has elements which are like the weather of the future in relation to the future position of the sun. Generally speaking, however, the course of human evolution can only be known on the basis. of its spiritual impulses. History is therefore embryonic and not what it is supposed to be; it will only finally be something when it makes the transition from its 100 years of existence to consideration of the spiritual life which is behind the scenes of what comes to pass at the surface level for humanity. It means that people must really wake up in many respects. There is that phrase again: Wake up! Surely this phrase must sound a Wake Up call to us or just as surely it will sound our death knoll. Listen, learn, hold real, live unanswered questions and perhaps the wake call will toll inside of you. Footnote 1. The book is Riddles of the Soul, in which he explained about the reality of thoughts in spades. From page 1 and 2: "The content of this first essay of Riddles of the Soul is an effort to knock away those boards with spades. When we feel that we are working with spades to knock away the planks that have boarded up the world for centuries, when we consider the words to be spades, then we arrive at the soul-spiritual realm." Footnote 2. The entire paper can be read here: http://www.doyletics.com/arj/tandlrvw.htm . Footnote 3. There is one historian who is an exception, Professor Kevin Dann. He has written a history which reveals the forces at work within the events in his book, A Short Story of American Destiny 1909 - 2009. Footnote 4. While Laplace predicted the beginning of the solar system as a rotating nebula, Dewar predicted the world would end by freezing. Footnote 5. Stephen Hawking, wheelchair bound and widely known as the smartest man on Earth, is responsible for much of the cosmology of the Big Bang. Footnote 6. By orientalists, my assumption is that Steiner was referring to those in the Theosophy Society who were well-versed in esoteric sciences, but knew little of physical sciences. Footnote 7. What is our soul? When events happen to us, we retain feelings and memories of these events and these are stored in a part of us which no one else has access to. 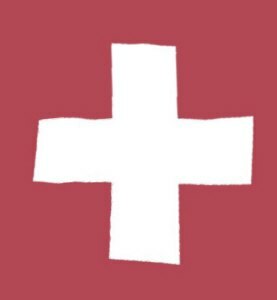 We cannot even confirm by any known test the simple fact of what the color "red" looks like to another person. That information is stored within them in what we call their soul, and we can never experience that color, only get reports and correlations, from which we assume they see the same color we do. But assumptions and correlations are not direct experience. Of that we have none. Footnote 8. Del was exposed to this kind of teaching in her chemistry class, and she told me how the class jocks (athletes) had the same response to every question asked by the teacher, "Copper Sulfate, Prof!" Clearly, they escaped the dreadful lists of chemicals by remembering just one and spending the rest of their required time in class thinking of other things in order to survive. Their cheerful response to every question indicated that they were happily surviving, probably thinking of the next football game they would play. Footnote 9. Steiner coins a word here to represent the salient concept of Goethe, his theory of metamorphosis as it applies to our spiritual evolution. Footnote 10. Suppose such a vaccine existed today which inoculated children at a young age to keep them from having a soul — what signs of this might we find? There would seem to be some epidemic of children being born who do not maturate like children, they would be unable to store feelings of their early childhood, they would have trouble acclimating themselves to other human beings, they will seem extremely intelligent with sharp calculating skills, almost machine-like precision of drawing and copying skills. Does this not sound familiar to the recent concerns of the sudden rise in the incidence of autism and its possible connection to certain vaccination processes? Have the anti-soul vaccinations already begun?